Any frequent traveler or commuter knows just how frustrating it can be to have a smartphone run out of battery when there's no outlet in sight. This Powerup Wireless Charging 10,000mAh Dual USB Battery ensures that you'll never have to worry about running out of juice when you're on the go, and it's currently on sale for over 60% off at just $24.99. 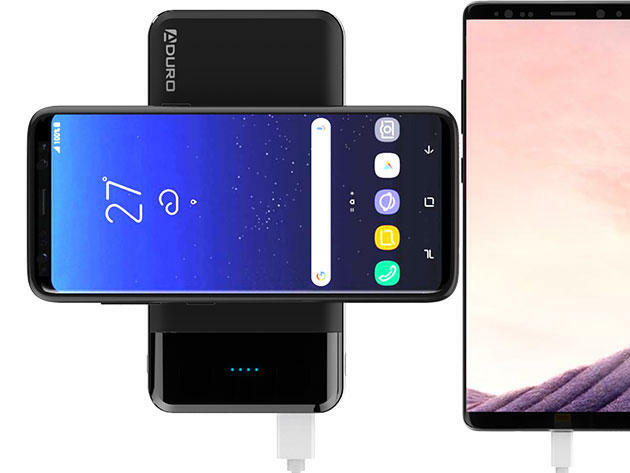 Ideal for anyone who finds themselves having to work while traveling, this super portable charging pack is capable of charging up to three devices simultaneously. It comes loaded with two USB ports, a built-in Qi-compatible wireless charging pad, and a whopping 10,000mAh battery. There's even a SmartCharge component that alters the charge output for your specific device—ensuring that you're always charging at the fastest possible rate. Stay powered up on the go with the Powerup Wireless Charging 10,000mAh Dual USB Battery—on sale for just $24.99.